So, to help my students improve their writing as well as their "connect the dots" skills, I assigned them this general topic; they had freedom to choose their exact subject. So, as a history major and teacher, I was delighted to see this student chose to write on the spark that began WW I. As soon as I read his title, I knew his topic. Overall this student uses fine word choice, clear organization, and accurate historical information. Most of all, the author explains how the act of a single gunman--at an accidental time and place--triggered the horror we now know as World War I. Many SAT reading passages focus on historical events, and references to historical events or characters can add depth and credibility to one's writing, so at DreyerCoaching.com we are always looking for ways to teach history as well as English. 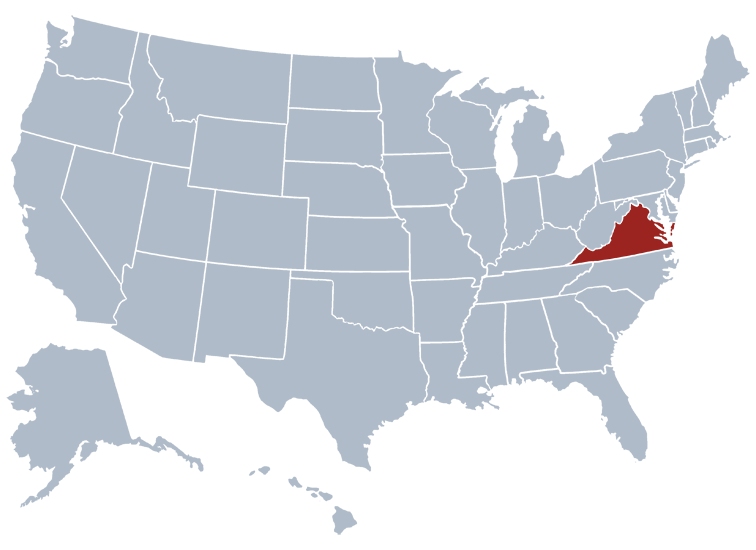 And since we are based in the history-rich US State of Virginia, there are always many ways to do this. It was a sunny day on the morning of June 28th, 1914 in Sarajevo, the capital of Bosnia and Herzegovina. The citizens' faces were filled with joy as each prepared to begin their lovely day. However, as for Archduke Franz Ferdinand and his wife Sophie, the day had a rough inception. The royal couple of Austria was almost struck by a grenade on their way to the governor's residence, which resulted in the Archduke accusing the governor of "welcoming your guests with bombs" and soon demanding a trip to see the ones injured from the grenade blast that missed him. The request was granted, but the couple's driver was not informed of such new arrangements…. Meanwhile, just a few blocks away, Gavrilo Princip, a member of the Black Hand, which was an anti-Austro-Hungarian Empire terrorist organization, was in a cafe nibbling on a tuna sandwich. He wore a despondent face, with tears in the corners of his eyes; the master plan had failed, Ferdinand would still live another day. But that all changed when suddenly he heard commotion across the street. With heavy steps, Princip left the cafe and squinted to observe the situation. There sat the royal couple, the son of the emperor of Austria-Hungary and his wife, in an open car with their arms crossed, staring into space. Excitement instantly lit up inside Princip's head, I finally get to impress my masters, this is my chance to shine. Without hesitation, the nineteen-year-old boy drew out his pistol, ran to the vehicle that was backing up, and shot the two. While Princip might have been proud that day, he certainly did not anticipate the events that followed. Upon the knowledge of such a tragedy on the deaths of the couple, Austria-Hungary declared war on Serbia, which ultimately led to the start of World War I after many other nations also declared war on each other. It might be difficult to believe that a driver's wrong turn could lead to the deaths of over 16 million people, but some historians believe that World War I was inevitable and that the only thing missing for its beginning was a spark: the role in which the wrong turn played. Mankind will never know if the war could have been prevented, but what we do know is that every action will have consequences at that there is a price to pay for every benefit gained. Cause and Effect: What made the Cologne (Koeln) Concert legendary? The Cologne Concert was one of the most successful yet bizarre jazz piano performances ever. The concert was held in the Cologne Opera House. Organized by Vera Brandes, Keith Jarrett was to perform. Normally, this would be an ordinary jazz performance; however, accidents made it one of the most spectacular and stunning performances ever. Before the concert, Jarrett had asked for a Bosendorfer 290 Imperial concert grand piano. However, there was a misunderstanding between him and the opera house staff: the opera house had a similar model, but it was in poor condition. So as the story unfolded, they discovered that the model the opera house had was not the one they wanted, and worse, it was nearly unplayable. It was already too late to find another piano for him to play, as the performance was scheduled to start in a few hours. Furiously, Jarrett almost refused to play. The organizer tried her best to call a tuner to make the piano playable, yet still, after tuning, some parts of the keyboard were broken and the pedal did not work properly. However, when the concert started, everyone was stunned. This concert turned out to be one of the most successful concerts in piano and jazz history. Though Jarrett improvised the entire performance and concentrated playing in the middle part of the keyboard due to the faulty instrument, people were amazed by his trance-like and soothing music. It was full of repetition, but it built on the intensity of the performance and delivered hypnotic rhythm. The music was later published and broke records in sales of jazz and piano albums. Because the music was improvised due to the piano, this performance would never have happened this way if the circumstances had been different. Ironically, due to technical difficulties, a great gift to music was created. Scott's note: Tim's classmates and I particularly like the strong word choice in Tim's essay: bizarre (which is actually the French word for "strange"), spectaculary, furiously, stunned, trance-like, intensity, hypnotic. It was a normal day, on October 31st of 2013 in Taiwan. I had just finished school and programming class, and was currently winding down the day with some homework when all of a sudden, the floor started shaking and a loud, rumbling sound could be heard. Living in Taiwan, I instinctively knew what was going on-- earthquake! Because Taiwan is on the “Ring of Fire,” these quakes are common, so I remained calm and waited for the shaking to stop. These natural phenomena have been around forever, but only recently, have they been somewhat predictable. The science behind earthquakes is simple: tectonic plates in the Earth move, creating sudden shaking in the Earth’s surface. Potential energy builds up in the plates over years, until the earthquake happens. It is like holding a ball in the air-- the potential energy is the force that pulls the ball down to the ground. In areas with more plates, like East Asia, the quakes will happen more often. Depending on how much energy there is, the force of the earthquake will vary. The intensity of the shaking is measured on a base-ten scale, the Richter Scale, with one being the weakest and ten being strongest. Volcanic eruptions can trigger earthquakes as well. Sometimes, the earthquake is small, barely detectable, but other times, the shaking can wreak havoc upon cities, causing billions of dollars in rescue and repair. Civilian deaths and injuries are also common during bigger earthquakes due to toppling buildings. At other times, tsunamis arise as a result of the shaking. Thankfully, the improved technology allows scientists to predict and prevent damage from earthquakes, creating a safer world to live in. Scott's note: When we read this essay the first time, it was just the second, longer paragraph. My first thought was: why not tell a personal story? As it was, I thought it was too dry and "textbookish," like something a student in Virginia might write, a person who had never experienced an earthquake. Since he lived in Taiwan, I urged him to add a personal element to it, to make it more impactful on the reader. So, he added the first paragraph which we all agreed beefed up the paper. If it had been my paper, I would have made some reference to Halloween, like "While kids in the US were thinking about walking around in costumes getting candy door to door, we were there in Taiwan, where our world was shaking." I think that would connect with American readers. However, Justin just referred to the date of the big quake, Oct. 31, which is fine: writing is largely a matter of personal choice. Are you looking to boost your writing skill? Join one of our online writing classes, basic to advanced! Contact Scott today to find out more!